The most popular mortgage in the U.S. is a 30-year fixed-rate loan. In fact, according to Freddie Mac, 90% of homebuyers opt for this type of home-purchase loan. You’ll find plenty of lenders offering 30-year fixed-rate loans - that means rate comparison is essential. If you qualify for a 30-year fixed-rate mortgage, you’ll make the same fixed payments over the course of 360 months to pay for your home. With a fixed-rate mortgage your interest rate doesn’t change over the life of the loan. If you lock in a rate of 3.75%, it will stay 3.75% over the course of 30 years. This is different from an adjustable rate mortgage (ARM), that has interest rate changes over the course of a loan. You could start out with 3.50% interest rate, and five years later have it at 4.25%. Fixed-rate mortgages help you know exactly how much your mortgage bill will be each month. It can be easier to budget and set aside money to cover your housing-related expenses when you know the amount you need to set aside each month won’t change. In the early 1980s, countries around the world were in the midst of a recession. Mortgages were in the double-digits for 30-year fixed-rate home loans. According to data from Freddie Mac, annual mortgage rates were as high as 18.45% in October 1981. Since then, mortgage rates have fallen substantially. Rates haven’t climbed higher than 10% since 1990. At the start of the housing crisis in 2008, average annual rates on 30-year fixed mortgages hovered around 6%. In June 2016, the rate on 30-year fixed mortgages reached near-record lows at an average of 3.57%. The lowest average annual rate since 1970 was 3.35% in late 2012. Note: The annual average mortgage rate for 2016 was calculated using monthly mortgage rate averages reported by Freddie Mac through June. When 30-year fixed mortgage rates are low, homeownership is cheaper and therefore generally more accessible, particularly for first-time buyers. 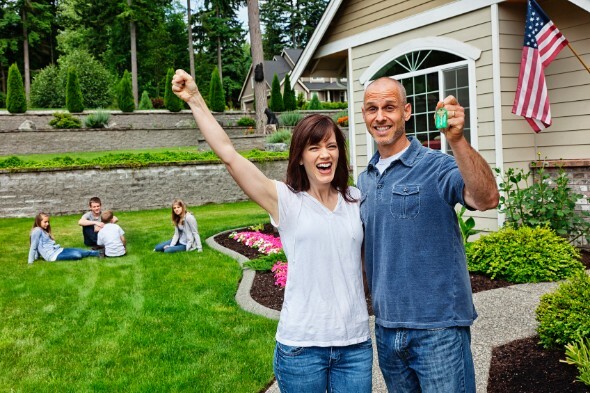 In addition, many existing homeowners will refinance in order to lock in lower interest rates. At the same time, low mortgage rates can indicate that an economy is slow. People who decide to take 30-year fixed-rate mortgages are generally looking for a lower monthly payment than those who take on 15-year fixed-rate mortgages. Since the length of the loan term is longer, 30-year fixed mortgage rates tend to be higher than 15-year fixed mortgage rates. For example, take a family of four. Let’s say they decide to buy a $250,000 house with 20% down ($50,000) and lock in a 30-year fixed rate mortgage at 3.75%. The monthly payments will be about $926 (not including home insurance or real estate tax). In comparison, a 15-year fixed rate mortgage at 3.55% has mortgage payments of $1,435 per month. While the interest rate is better (3.55% vs 3.75%), the amount paid per month is roughly $500 more in this scenario. For this hypothetical family, the $6,000 per year difference is needed for groceries, school expenses and other monthly payments. Paying off the mortgage 15 years sooner is not their concern. It’s more important for them to have the extra $500 per month for expenses. Fixed mortgage rates are typically higher than adjustable rate mortgage rates. If you opt for an adjustable rate mortgage, your mortgage rate will be low in the beginning of your loan term but will then increase as time passes. So while a fixed rate can mean a higher rate, it stays the same over the life of the loan. A mortgage rate quote gives you an estimate of the kind of interest rate you qualify for based on the home’s purchase price, your credit score, your down payment and the location of the home you’re buying. The mortgage rate quote will also include an annual percentage rate (APR) and an estimate of the fees you’ll pay for getting a lender to process your loan application. Unlike your interest rate, your APR will reflect the true cost of taking on a 30-year fixed mortgage rate. The APR factors in the fees you’ll be required to pay. As you’re comparing mortgage rates, it’s important to pay attention to each APR. Getting the lowest possible mortgage rate for your 30-year fixed home loan is important if you want to keep your housing costs low. After all, as a homeowner you’ll be responsible for paying for property taxes, homeowners insurance, maintenance and repairs in addition to making a mortgage payment and paying interest. To qualify for the lowest (and best) 30-year fixed mortgage rates, you need to have good credit. Most mortgage lenders look at FICO credit scores when assessing potential borrowers. Based on the FICO scoring model, a good credit score falls in the 670 – 739 range. Different mortgage lenders have different standards regarding the credit scores that they expect borrowers to have. But in most cases, you won’t be able to qualify for a conventional mortgage loan if your FICO credit score falls below 620. If your FICO score falls below that threshold, you do still have options. You can look into getting an FHA loan or a USDA loan (if you’re planning on buying a home in a rural area). Besides having a high credit score, you need to have a low debt-to-income (DTI) ratio if you want to qualify for a low mortgage rate. Your DTI is the amount of debt you’re paying off each month relative to your monthly gross income. Generally, you won’t be eligible for a qualified mortgage if your debt-to-income ratio is higher than 43%. Shopping around for mortgage rates is a good idea if you want a low rate on your 30-year fixed home loan. You might even be able to negotiate and reduce the mortgage rate that a particular lender is offering. Certain states have special home loan programs that give homeowners a shot at qualifying for 30-year fixed mortgages with low rates. It’s a good idea to do some research on what your state has to offer. All of this means it’s important to prepare before you start looking to buy a home. You can take time to improve your credit score and lower your debt-to-income ratio before it’s time to apply for a mortgage. This can help you to qualify for the lowest possible 30-year fixed mortgage rate. Your credit score and your debt-to-income rate are just two factors that affect your mortgage rate. Having plenty of cash saved up and a stable job can help as well. The size of your down payment also impacts your mortgage rate. The standard down payment is 20%, but you can put down more money. A large down payment means you don’t have to borrow as much money from your lender. As a result, your loan-to-value (LTV) ratio (the mortgage loan amount to the value of the home you’re buying) will be lower as well as your overall risk as a borrower. Mortgage lenders tend to offer lower mortgage rates to borrowers with low LTV ratios. You can also lower your mortgage rate by paying for mortgage (or discount) points. A single point is equal to 1% of your mortgage loan amount and can lower your mortgage rate by up to a quarter of a percentage. When tax season arrives, you can score a tax deduction for the mortgage interest you pay all year. As long as you itemize your deductions (as opposed to claiming the standard deduction), you can deduct the mortgage interest you paid if your home loan amount is equal to $1 million or less. You can also deduct interest on up to $100,000 of debt from a second mortgage (specifically a home equity loan). In some states, homeowners are allowed to deduct mortgage interest on both their state and federal income tax returns. If you forgot to deduct your mortgage interest on your federal income tax return, you might be able to deduct it on your state return. You can always try to refinance your 30-year fixed-rate mortgage if you’re not happy with your current mortgage rate. Just keep in mind that you have to go through an application process and a credit check. If you don’t have a good credit score or you can’t meet your lender’s other requirements, you probably won’t be able to qualify for a lower mortgage rate. If you refinance your 30-year fixed-rate mortgage to a 15-year fixed-rate mortgage, you’ll shorten your mortgage loan term and likely reduce your mortgage interest rate. While your monthly mortgage payment will be higher, you’ll save money by paying off your mortgage in 15 years instead of 30 years. With longer loan terms, you pay more interest over time which for 30-year mortgages, can equal roughly double or more what you’d pay with a 15-year note.